Linking – What’s In A Name? Posted on 31st May 2011 at 13:21. Be honest, have you ever been tempted by an advertisement that promises to bring 100s of quality one-way links to your website? I bet you have: most people would be, especially when these offers come at bargain-basement prices. The truth is, if something sounds too good to be true, generally speaking it is. These adverts are at best disingenuous, and at worst deliberately misleading. Any reputable internet marketing strategist will tell you, you usually only get what you pay for. If you really want to get top quality links in the blink of an eye, then you’ll have to pay top dollar. Unfortunately that’s out of the reach of most of us, so we have to resort to the old tried and tested ways – in other words, putting in the time and the effort and building these magical links slowly and organically. Is it any wonder most businesses both love and hate link building? So what are links, and how do they work? Well, at their most fundamental level they are the basic means by which we navigate the web, by moving from one page to another or one website to another. Without them, you’d have to type in every URL separately: fortunately some clever person came up with the idea of hyperlinks, and hey presto, you can move about effortlessly. When you link to a website, you’re essentially giving that site a vote of confidence – a thumbs-up if you like, stating that it’s useful and should be recommended to others. With any luck that particular website might reciprocate and link back to you if you meet the same standards. Links spread the word about your business and what it offers. If what you have to say is interesting and relevant, then others users will spread the word about it via their sites, blogs, Facebook or Twitter updates or tweets. There is however, just the one proviso to all of this: people will only link to a site if the content you provide is worthy of a link. So, what makes a good link? Links provide a way for visitors, and search engines, to identify what the page is about before they even attempt to click on it. In other words, they give the page context and spell out clearly what the page relates to. If you simply have a link from your business website main page that says ‘click here’ without actually explaining why the user should click and what they’ll be presented with, then the chances are most users won’t bother. Visitors don’t appreciate having to read around a subject to find the information they’re looking for. As a rule, not many users will read all the information you put on your website: if anything, you’re hard-pushed to get them to skim read it. Therefore, it’s vital that the links you use are clear and have some context. In other words, users need to see a description, however brief, that tells them what the link relates to and whether it is what they’re looking for. Providing this information will satisfy not only the visitor, but also the search engines and that has benefits for your search engine ranking. 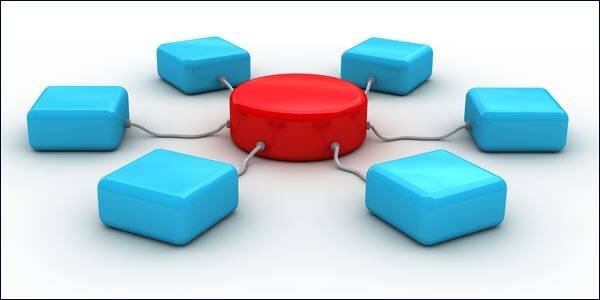 In future articles we’ll have a more detailed look at link building anatomy, and try to answer many of the questions you’re no doubt eager to ask about link building in general, covering areas like the different types of link and their respective values. Twitter Belatedly Follows Facebook And Introduces Email Notifications.Is Online Advertising Really Trusted By Consumers?